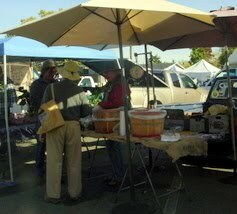 Our vendors are always in business! With just a few shopping days left to the holidays you can find easy shopping with many of our vendors online or at other holiday craft fairs. 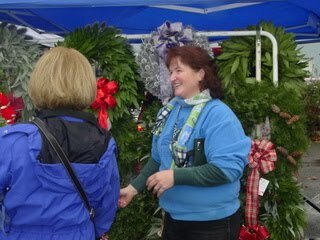 While everyone is taking the holidays off there will be a Saturdays sized market on Wednesday December 22nd. It will be a great place to do some last minute shopping. And of course get everything you need for holiday dining. Find your favorite vendors this holiday you’ll be glad you did. Win $20 in Market Bucks! 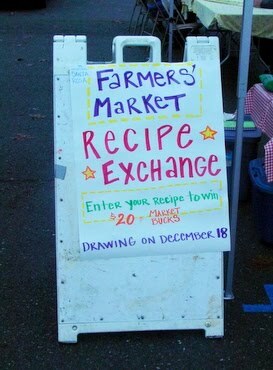 All you have to do in bring in a recipe and drop in the box at the information booth on December 18th. Who ever gets their recipe picked out of the box wins $20. The easiest recipe contest ever! To get things started here’s a recipe from Les of Offerings of the Land. Ingredients: 1 medium butternut squash, peeled seeded and cut into 1and 1/2 inch pieces. Add the butternut squash coking until tender but not mushy. Add the chard cook until tender (about 2 minutes) Stirring occasionally it to keep from sticking. Serve with rice or pasta and finsh with the grate gouda cheese. The freshest greens for your holiday decorations.